Bright makeup is as much in vogue as is ‘no makeup‘ look these days. And if you are our summer bride, then all the more reason to completely transform your entire look with elegant, bright colors. 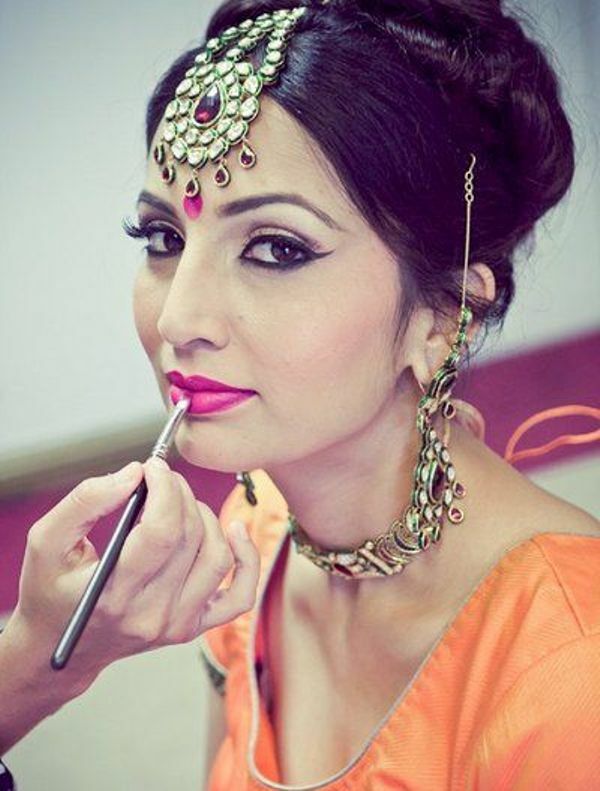 So read on to know the latest wedding makeup tips! 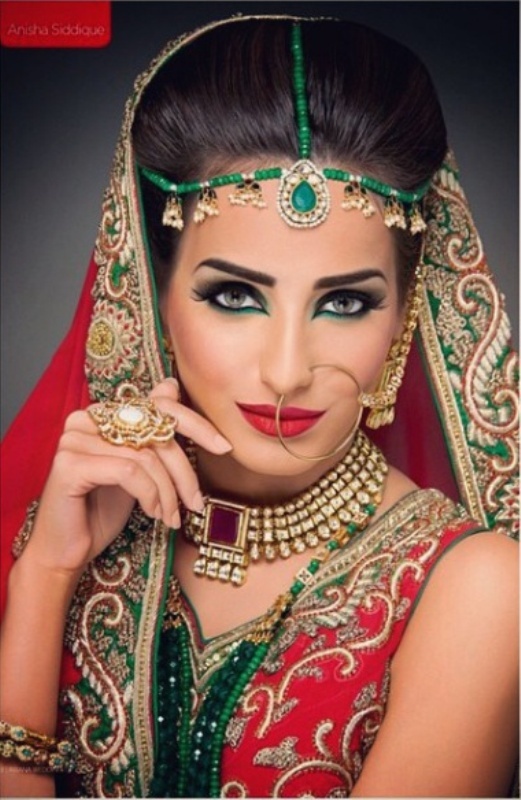 Are you planning to carry bright makeup on your wedding day? Well, it’s tricky and requires a major commitment on your end as it can completely transform your entire look. And forget not, it will also become a part of your wedding photos that will stay with you forever! If you already have a certain makeup look in mind and are quite sure then definitely go ahead with your decision. 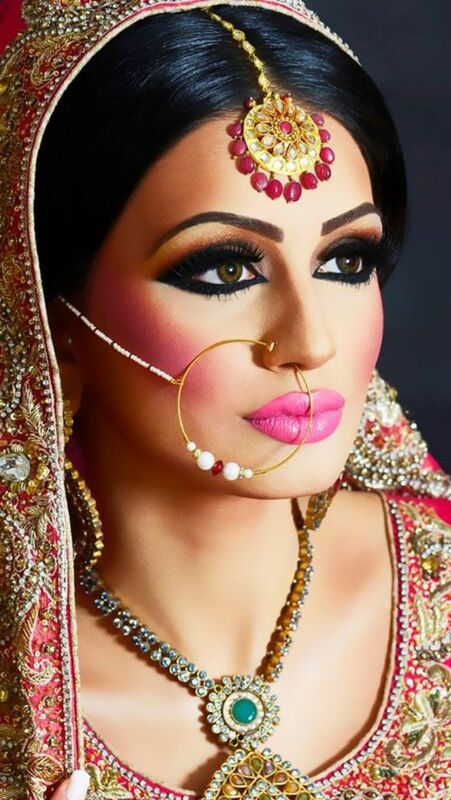 Right kind of bright makeup will give you that special edge and will transform you into a glamorous bride! 1. Style and color of the wedding dress: You must have already purchased your wedding ensemble by now. Discuss with your makeup artist, if a bold lipstick will compliment the style of your dress? And if yes, what color options do you have? Style and color of your dress are the two most important factors that will decide if you should flaunt a bright makeup look or not. Typically, if your wedding ensemble already has a lot of bright colors then we would not recommend going for a bright lippy. 2. Choose either bright lips or dramatic eyes: As a general rule, you can either accentuate the eyes with bright shades or focus on the lips. Many brides love their eye makeup and want to create a dramatic look. Imagine yourself as a bride and then decide if you want to keep your eye low-eye. If you are wearing bright lips, then it is best to use neutral shadows and keep the rest of the face natural. This rule also applies to shimmery makeup. 3. Use a highlighter instead of shimmer or glitter: With those beautiful colors, you have to consider aspects of your makeup that complement the look and not make it look gaudy. Instead of shimmer or glitter, use a highlighter on your face. It will give your skin a dewy and glowing appearance. Highlight the perimeter of your face, forehead, and the bridge of your nose. 4. Day wedding or night wedding? : Select the colors as per the time of the wedding ceremony. If your wedding will take place during the day then keep the colors as natural as possible such as peach, pink and pastel colors. On the other hand, if your wedding will take place during the night, then you can keep the makeup base heavy and add more bright/deep colors and even neon shades. 5. Don’t forget the primer and opt for oil-controlling makeup base: Generously apply a dose of primer on your face before applying foundation. Keep away from cream based foundations as summers will make it very difficult to keep the makeup in place. Bright makeup adds freshness to your overall look. It’s good to play with colors but select colors that compliment your attire, complexion and time of your wedding ceremony.